Reed M&E PAT Testing is a dedicated portable appliance test company covering all of the North & South of England. Using the highest specification dedicated PAT testing equipment we are able to provide a thorough efficient, high quality and low cost portable appliance testing service in accordance with the IEE IET Code of Practice for In-service Inspection and Testing of Electrical Equipment. We are approved members of the NICEIC (National Inspection Council for Electrical Installation Contracting) and all of our engineers are fully qualified to City & Guilds 2377-200. THE 17TH EDITION STATES THAT ALL FIXED APPLIANCES (EG: HAND DRYERS, FANS) ARE NOW CLASSED AS PORTABLE APPLIANCES. PLEASE CHECK WHEN LOOKING FOR QUOTES THAT ENGINEERS ARE QUALIFIED TO TEST THESE TYPES OF UNITS. 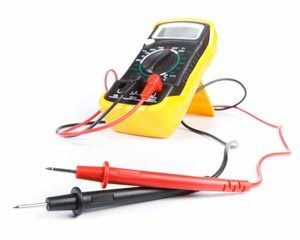 PAT Testing is a Health & Safety requirement for any organisation. Reed can work with you to provide a cost effective tailored solution which is flexible to your business needs. Our engineers carry a copy of their test qualifications, their CRB checks and the company public liability insurance when they attend site.